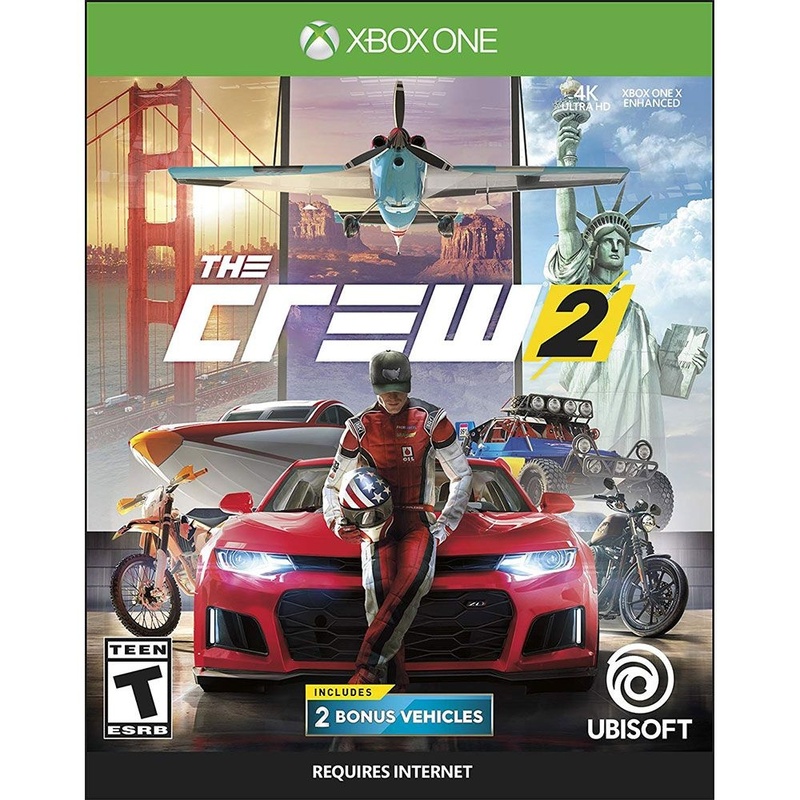 The Crew 2 Video Game for Microsoft Xbox One. Released 2018 Rated T for Teen. Requires Internet Connection. - Jump in the driver seat of exotic cars, bikes, planes, and boats as you dominate the land, air, and sea. - Go where your heart takes you and travel the USA like never before: with a massive open world and no limits. - Seamlessly switch between vehicles with the Fast Fav feature, to go from boat to car to plane to motorcycle, without loading screens. - Team up or ride solo as you enter the exciting motorsports realms of street racing, pro-racing, off-roading, and freestyling. - Stay connected as you compete for street cred, create exhilarating challenges for others, and share your most memorable moments.